Hey-Oh! Bird Huffman and Scott Bass had this great idea: Pendoflex Friday, surf and talk story, Cardiff Reef on Friday, July 16th at 8 AM. Bring yours and/or come and borrow a Pendoflex and have fun. 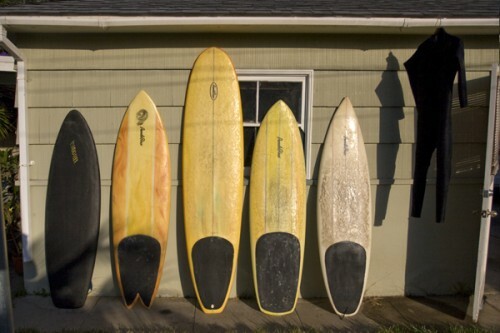 Shortboards, longboards, fish, and duckies. Thanks, Birdie and Scott for the hubba! Cowa-flexit! out for now, Aloha! No Comments on "Flex Friday"